We start at the historical Clocktower where the city of Sapporo originated. After our initial ramen lunch, (well, you can find so many ramen shops in Hokkaido and they sometimes serve mini-ramen! ), we'll be heading to Sapporo Beer Factory/Museum where we'll take a bus to visit Moerenuma Park. What makes Sapporo special is that there are so many parks and forest that people can enjoy outdoor activities throughout the season. This park designed by Isamu Noguchi is the biggest scale Noguchi ever designed and it's worth the visit. We'll have two-hour free time at this park. You can walk around or spend some time at the cafe. After the park, we'll be heading back to the city center and have a dinner at Moliere, the French restaurants using the best ingredients from Hokkaido. The service here is exquisite and you'll enjoy the fine dining at the first night! Lunch: Ramen Q -Amazing chicken clear stock ramen that is different from any chicken soup you ever had!! We learn what makes the difference from the owner-chef! 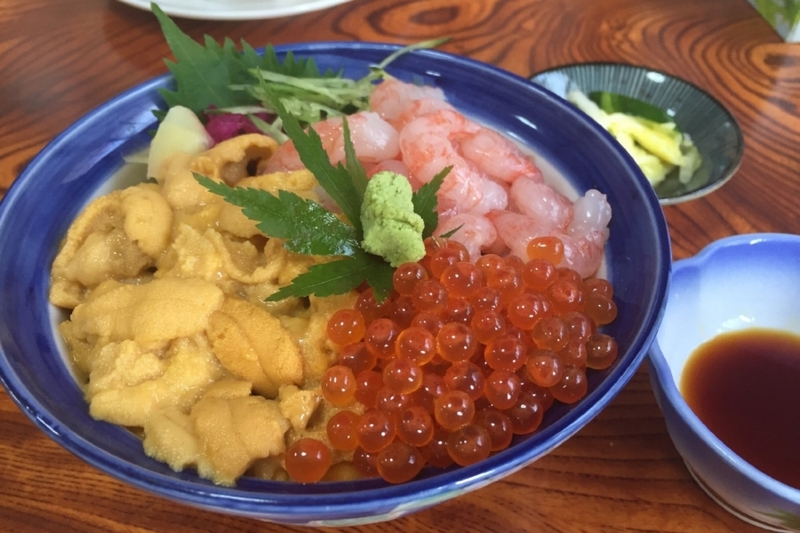 Uni is in season at Shakotan peninsula until the end of August. "Shakotan blue" ocean is as striking as California blue sky. We'll hike up to cape Kamui, about half an hour on one way, to enjoy the nature and enjoy the fresh Uni or any sashimi/seafood of the day for lunch. You'll also spend the afternoon at Otaru and dine at the Sushi Matsumoto who was trained under Sushi Saito in Ginza. He is a funny chef and not expecting us to be quiet! I had booked all the counter seats for our group. As he serves seafood we probably never had before, i.e. I had a whale bacon, salt-cured uni, sole fish sashimi and such, I will be asking and explaining a lot to you as usual. If the dinner ends early, I would like to take you to the bar in Susukino where you can try sake, wine and whiskey from all over Hokkaido. Departing from Sapporo, our first stop is Kan Yasuda Sculpture garden called Arte Piazza which took over the old elementary school premise and hill behind the school. As you walk from the field to hill and walk into the old school building, you'll discover the Yasuda's every work fit perfectly in the specific secluded space. Before lunch, we also stop by Otokoyama Sake brewery, one of the most well-known sake brands in the United States. They produce a lot more varieties of sake than we know and will learn the difference by tastings. Try as many as you like! As Hokkaido is known widely for the "Soup Curry" in Japan, I have to include it for the lunchtime and picked the shrimp base "soup curry" with ala-cart toppings! (They have chicken soup curry option, too.) We then visit the Ueno Farm and blue pond. For dinner, we visit a very special place: Valore is an Italian restaurant in Biei with just about 10 seatings. I had a wonderful solo dinner last week. They opened the restaurant just for me as it's currently offseason. I'm very much looking forward to dining here with you. Accommodation: JR Inn Asahikawa or Kunpu-Sha B&B in Biei. Road trip day since we have to cover 300 Km/200 miles from mid-Hokkaido to East of Hokkaido. Approximately 3.5 hours from Asahikawa, we'll arrive Saroma lake and have a seafood feast of your choice. At Northern people museum, you'll learn everything about indigenous people who live near northern poles, including Alaskan Eskimo and Ainu, indigenous to Hokkaido. What material they choose to make clothes was especially intriguing as well as how they construct houses. 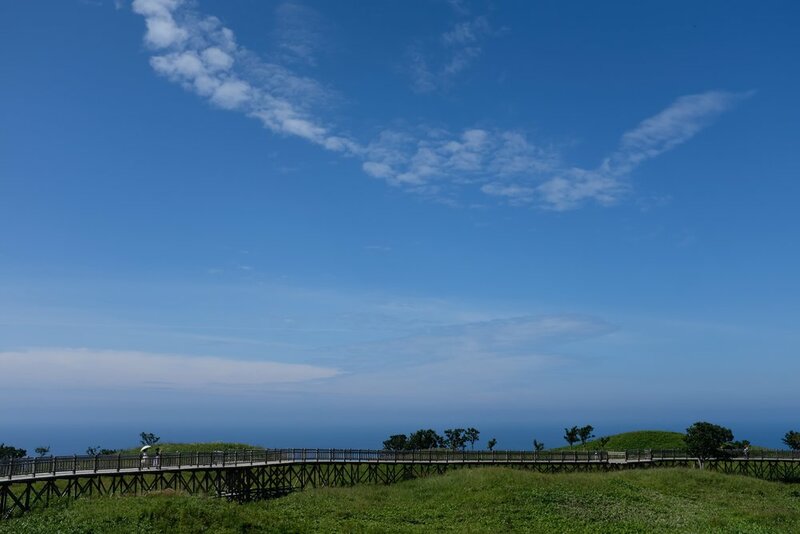 Visiting Abashiri Prison Museum is an eye-opening experience as you'll learn how prisoners in Japan was sent to Hokkaido and all the new roads were built by prisoners. By the time of sunset, we'll arrive ryokan where you can enjoy onsen/hot springs! Shiretoko is untouched vast motherland where it's deeply covered by snow for many months and bears, symbolized as a god by Ainu, walking around as well as foxes passing by. There is a famous route called "Shiretoko Five Lakes", we'll walk from one lake to another. It is a mostly flat path and walking here is so pleasant. We just have to watch out the bear. In fact, this route will be closed once someone witnesses the bear. So we can only hope for the luck! There will be many other places we can hike. Let us be spontaneous and choose where to hike in the morning. For lunch, we like to move to Rausu, where my favorite Kombu (dried kelp) grows. 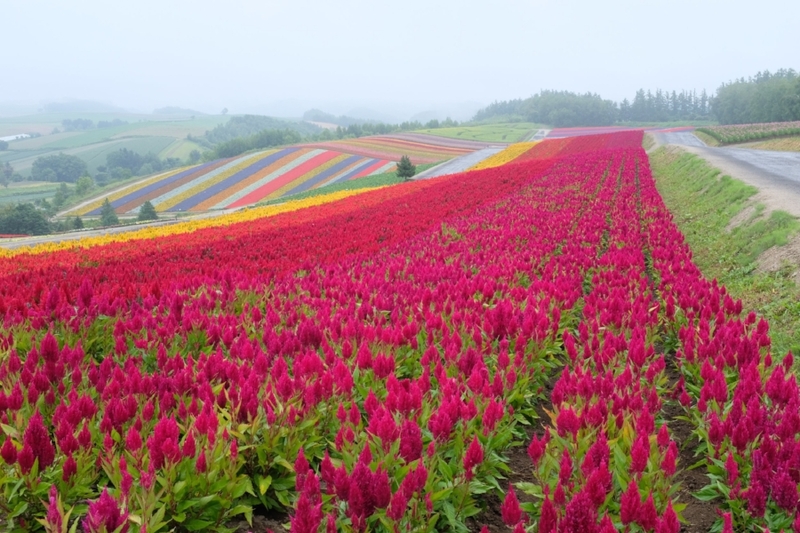 It's probably the least touristic place we can visit in Hokkaido. The lunch here is "fishermen's catch of the day", nothing special for locals but a feast for us! There are many hot springs. The one I like us to jump in is in the ocean! After breakfast, we'll head to Akanko-lake through Kussharoko-lake. Akanko lake is known for the two things: Ainu & Marimo. Ainu is indigenous to Hokkaido, and here is the only place you can feel their culture through their handcraft shops and live performance theater. Marimo is translated to ball moss, the sphere shape of grass that grows in the lake. If you take a boat ride, which I highly recommend, you will stop by at the one island to see the various size of Marimo in the tank. This region has the clearest water lake in Japan. We are planning to have 3 hours free time and you can choose to go any place you like! We'll be heading back to Abashiri by 5 PM. You may fly back from Memanbetsu Airport evening or spend one night more to fly back. I'm planning to stay one more night near Memanbetsu airport and can certainly arrange your dinner and rides you need.